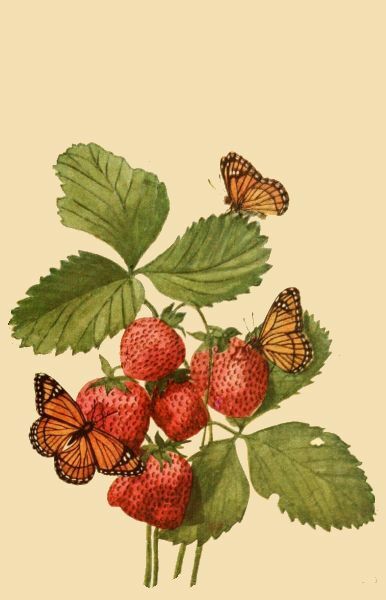 From creepy crawlies to furry cuties, this group of vintage art images is full of the wonderful creatures that share the earth with us. Along with flowers, I’ve come to believe that animal drawings are the most commonly found among vintage books, magazines and other printed materials. Animals can be both charming and fierce, yet always seem to remain fascinating. Our collection of public domain animal images is growing by leaps and bounds. We have a few more insect, cat and dog images right now than other animals but I know from running Reusable Art that those are some of the most highly sought after animal images. This is the largest category of free vintage images on our site so far and I expect that trend to only continue. I look forward to sharing more great vintage animal drawings with you and can’t wait to see what you create with them. Please do let me know what you’ve created and I might showcase it on one of my sites for everyone to enjoy and ooh and aaah over. 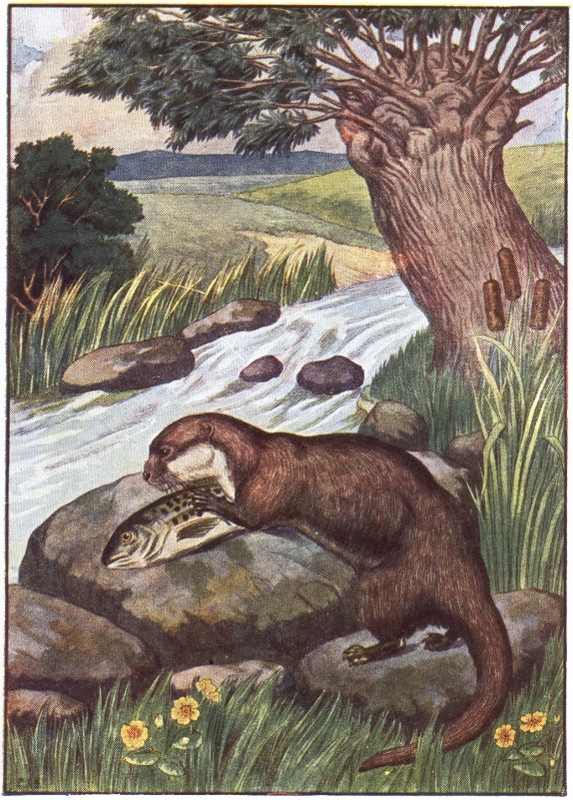 Vintage otter print from a children’s book. Nicely colorized with rocks, yellow flowers, cattails, trees and a rushing stream. 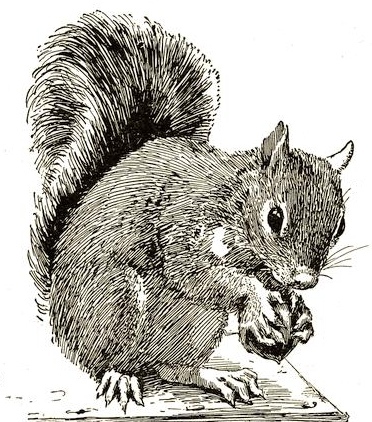 Charming vintage squirrel drawing by Bruce Horsfall. Little Mitchell is a bit famous for a squirrel, his adoptive mother wrote a book about his story. 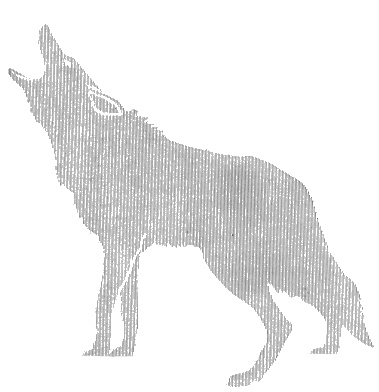 Vintage coyote drawing from a government pamphlet. Drawn with vertical lines, it has an interesting look that might add something different to your art. Diamondback terrapin drawing from an unlikely artist. Wonderful black and white sketch from 1831 of a turtle found on the eastern shoreline of the USA. 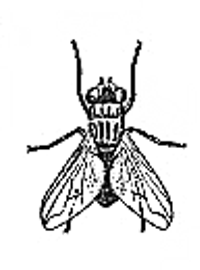 Vintage house fly drawing from a book about New Zealand pests that dates back to the early 1900s. Several online sources identify the book as public domain in the USA. 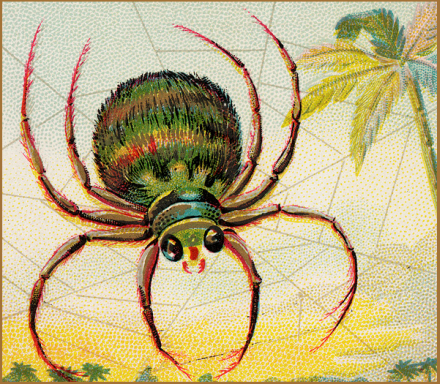 This colorful spider drawing is part of a turn of the century advertising piece for a thread company. How fun, a spider web to promote thread. I love it. 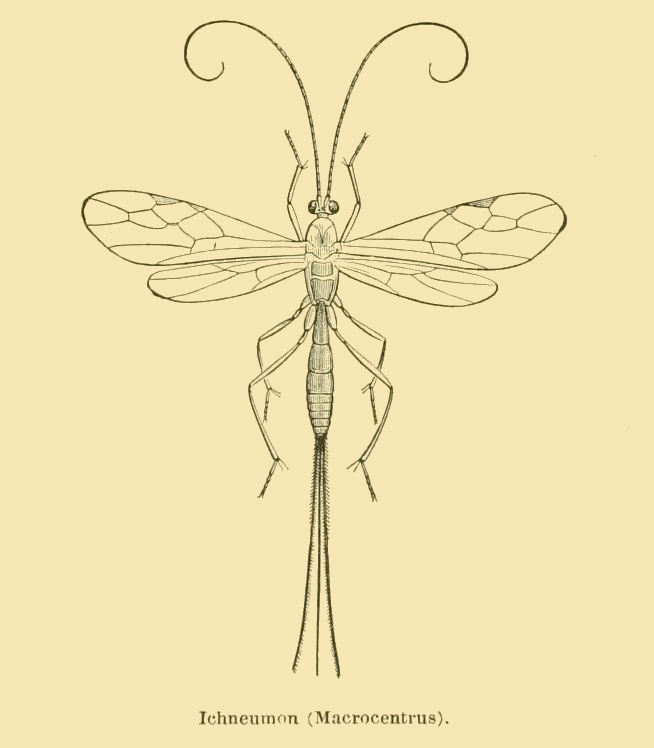 Vintage ichneumon fly drawing for downloading and/or printing to use with your own creative projects. This large parasitoid wasp looks downright sinister. 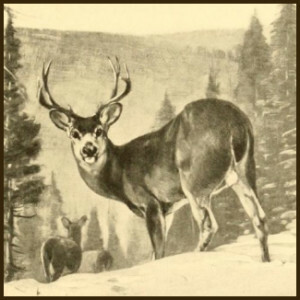 Interesting deer drawing by an artist more known for his sporting images that often poke fun at participating in hunts. A quiet piece with Oriental styling. 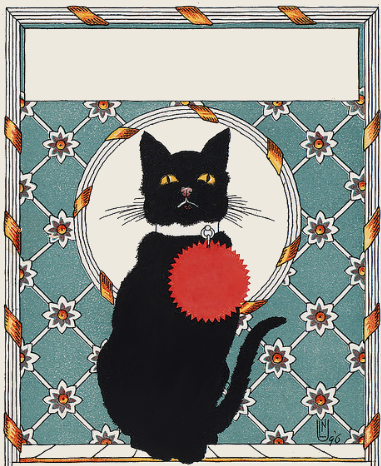 This black cat drawing actually depicts the namesake of an old literary magazine. The magazine is long gone but the wonderful series of cover images remain. Wonderful book illustration and fly drawing that was obviously hand-watercolored by an unnamed artist. 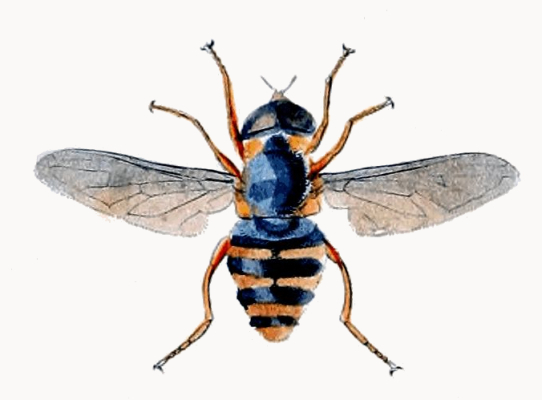 The drawing appeared in an entomology book from 1828. 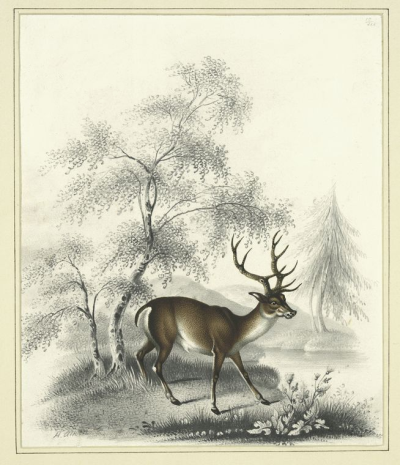 Such a lovely piece by Carl Rungius of deer in the snow – a perfect vintage animal image for a snowy Thanksgiving Day eve. It was published in 1902. I did a search on Amazon for animal scrapbook to get you started. Maybe you'll find that little something that will transform your current creative project into something spectacular.